The Banded Tulip Shell is a spindle-shaped univalve with a long siphonal canal. It has an elevated spire and distinct sutures. The shell may reach a height of over four inches. 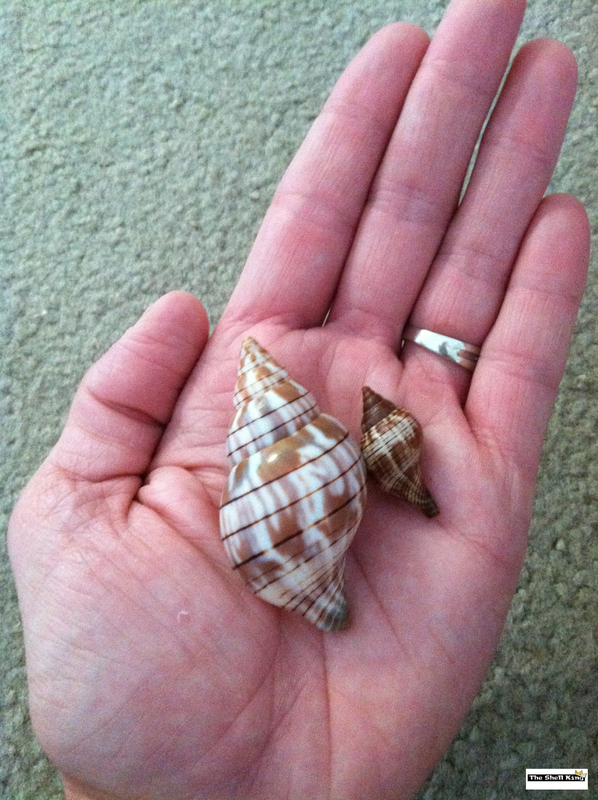 The typical background color of the shell is ivory or blueish gray with mauve streaks, cloudings of white or gray, and revolving lines of rich, dark reddish brown, although among the five distinct subspecies there are variations in shell markings and coloration.